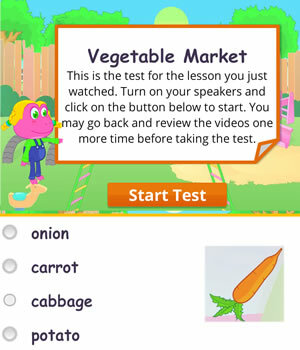 This lesson will teach children how to shop for things in English. 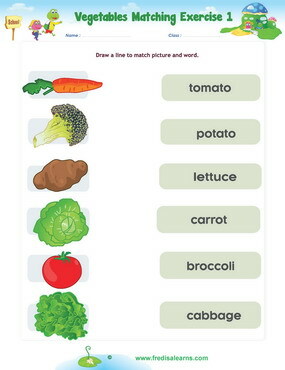 The lesson will build vocabulary on vegetables. 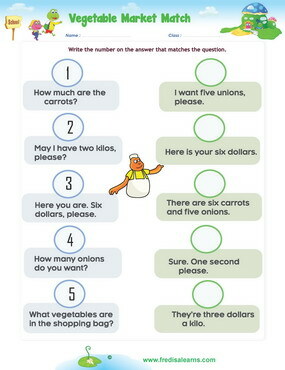 This kids English lesson teaches the use of ‘How much’ to ask about the prices of things. It also introduces measurements in kilograms. 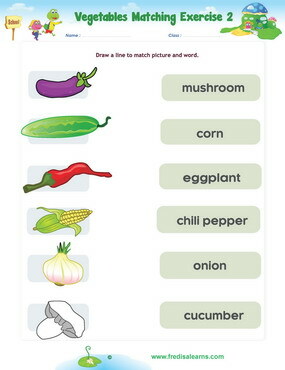 Students will learn the difference between ‘How much’ for uncountable nouns and ‘How many’ for countable nouns. The worksheets below are useful for offline and classroom activities. 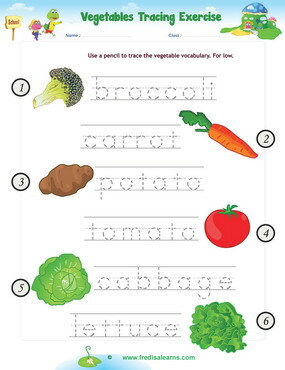 These printable exercises directly correlate with the above lesson 'Vegetables'. Every worksheet comes with an answer sheet on the second page for educators. 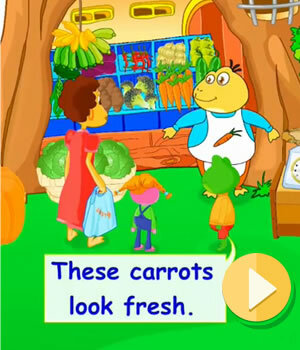 Freddie and Lisa are accompanying Mom to a fruit and vegetable market. 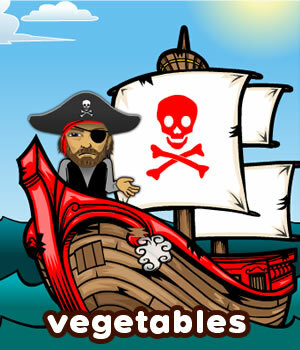 They ask for prices and buy different vegetables to take home. A struggle over who carries the shopping bag arises between Freddie and Lisa.